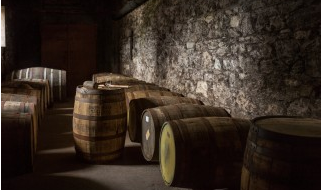 There have been whisky distilleries across Scotland for centuries. Go into any rare whisky shop and you will see whiskies from every end of the country. From Thurso to Gretna, at some point in history you more than likely could have found some type of distiller. Nowadays the whisky greats come from 4 main areas of Scotland: Speyside, Islay, Highlands and the Islands. Each of these areas comes with its own particular characteristics and signature flavours only found in their own whiskies. This article will explain the areas and some of their most famous whiskies. Speyside whiskies are distilled in the area around Moray and Strathspey, in the North East of Scotland. They are called such because the water for the distilleries is derived from the River Spey. Of all of the areas mentioned, Speyside has the highest number of distilleries, including Glenlivet and Macallan. These whiskies are usually considered to have a ‘light and grassy’ flavour. Islay is one of the furthest south islands that make up the Inner Hebrides just off of the West coast of Scotland. There are currently around ten active distilleries and these employ a large number of the small population. The island is at the forefront of whisky tourism within Scotland. Whiskies from this area are said to have a very smoky flavour, due to peat from the island’s bogs being burned during the early stages of the whisky creation on the island. Examples of Islay whisky include Bruichladdich and Laphroaig. The Highlands of Scotland are nowadays defined by the Highlands Council who have their administrative buildings in Inverness. However, the area used to be the area West and North of the Highland Boundary Fault. Whiskies from this area are a lot of the time, quite sweet and malty. Whiskies from this area include Glenmorangie and Dalmore. Excluding Islay, this region refers to all of the various islands surrounding Scotland. These can be in the Inner and Outer Hebrides to the West of the country or those on Orkney to the North. This is the region in which you will find the most variety of whiskies. If you are still struggling to decide on a whisky, why not have a look at The Rare Malt Whisky Company. They have a list of some rare distilleries and has helpfully separated them by area so you know exactly what you’re going to get.